The first of many red carpet awards ceremonies of 2014 took place last night with mixed fashion opinions. Some of the dresses I didn't think suited their celebrity counterparts, others on my timeline seemed to love. However, the two shining stars of the evening, in what was a unanimous decision was Golden Globe winner, Cate Blanchett dazzling in Armani Prive and Lupita Nyong'o in Ralph Lauren. One lady who certainly challenged us fashion commentators, adding a complete contrast of opinion across twitter, facebook and instagram was the delightful Emma Watson. Wearing a red Dior ensemble, her classic, no-fuss ribbon tie dress, with thigh-high slit was paired with none other than black skinny, cropped trousers. A daring look for this young starlet, but do you think it paid off? To see the dress click here. In other fashion news, Kerry Washington and Olivia Wilde looked picture perfect with their baby bumps on show. Both ladies chose statement dresses by the renowned fashion houses of Balenciaga for Kerry and Gucci for Olivia Wilde. 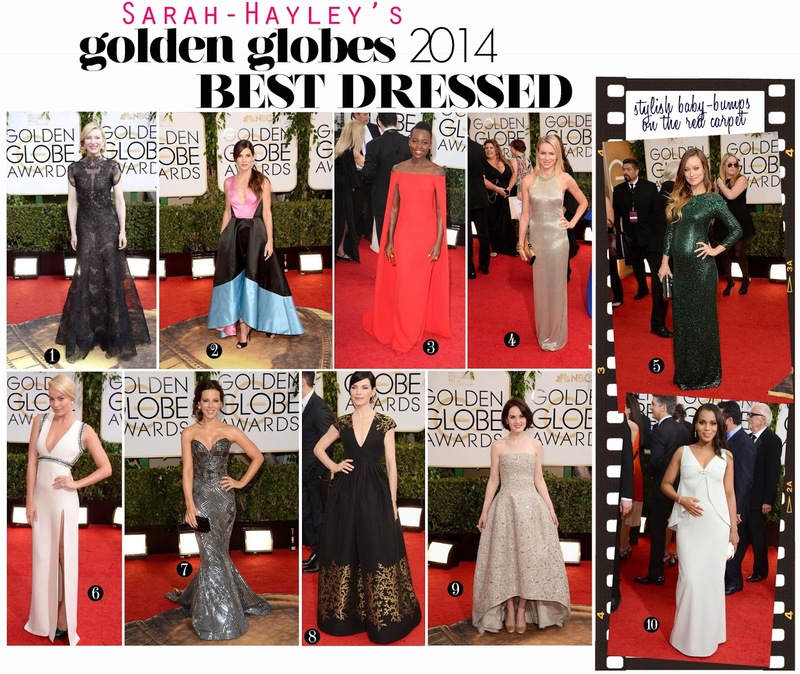 Take a look below at my favourite ten dresses and who designed them, in no particular order.